At 37 inches deep, a sturdy solution to organizing maps, blueprints, and plans in office or permanent blueprint storage. Easy-to-use, very sturdy, easily stackable, attractive corrugated cardboard and with a reinforced bottom. This product holds up well under daily use. 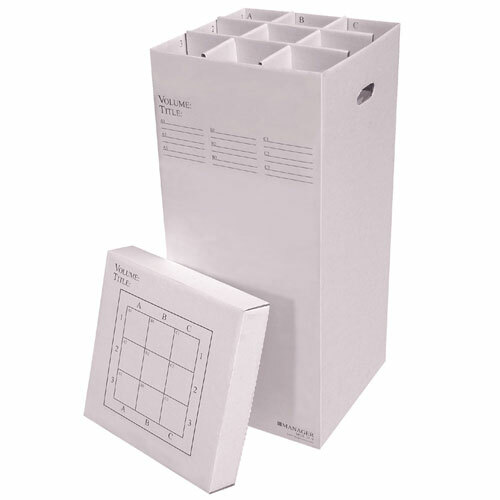 Everything comes included so the User can make this system work as 9 slots @ 5.25" x 5.25". This product is not cheaply made and works great for us. thick cardboard. this thing works great! The bigger holes work great for our large sets of plans.